Combining jazz, experimental, electronic and rock, Rick Parker casts a broad net with his trombone playing augmented by electronics and synthesizers. His music has been described as “an expressive new-breed fusion, informed by a few generations of downtown experimentation.” Nate Chinen, New York Times, and his sound described as “a seductive, burnished tone that’s animated by conversational improvisations.” John Murph, Downbeat Magazine. Parker has resided in New York City since 2001 when he began studies for a masters in jazz performance and composition at NYU. He has worked with a large cross section of notable musicians and groups including Tim Berne, Mingus Big Band, Darcy James Argue Secret Society, Charli Persip, Frank Lacy, Super Hi-Fi, Tim Kuhl, Beninghove’s Hangmen, Cage the Elephant, hip hop legends the Wu Tang Clan, Ghostface Killah and DMC and mexican pop stars Ximena Sariñana and Natalia LaFourcade. Since 2012 he has been a member of Ravish Momin’s Tarana, performing at festivals, universities and major concerts in USA, Mexico and Europe. 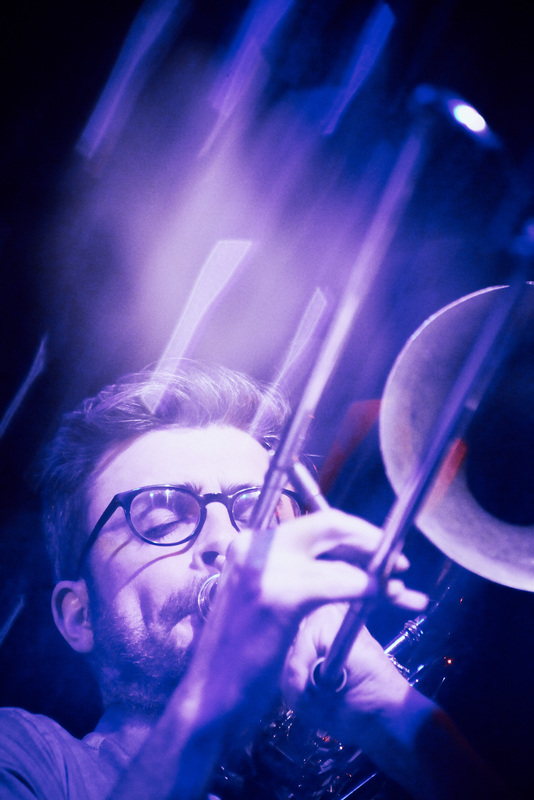 Parker’s innovative use of electronics with the trombone have allowed him to cross through many musical genres and even garnered the attention of manufacturers Electroharmonix and Eventide with whom he has consulted on the development of new pedals and effects. As a bandleader, Rick Parker’s music traverses multiple cultures and musical genres. His jazz quintet, The Rick Parker Collective, has released two albums on Fresh Sound New Talent and WJF records. Parker also has two albums with Little Worlds, a collaboration that ventures into the music of classical composer Bela Bartok. 9 Volt, with Israeli guitarist Eyal Maoz, is a brash experimental jazz/rock trio, whose debut album on OutNow Recordings featured Tim Berne. Alongside Mexican musicians Hernan Hecht and Mark Aanderud, the band 4Limones has toured the USA and Mexico. Most recently, Parker has entered into a collaboration with multi-instrumentalist Li Daiguo (cello, pipa, throat singing, beatboxing). Parker has performed at major venues and festivals across Asia, Europe, North and South America including the Montreal Jazz Festival, Montreux Jazz Fest, Blue Note, Jazz Standard, Blues Alley, the Kennedy Center and Lincoln Center. Parker was twice honored with an ASCAP Young Jazz Composer award and frequently arranges music for rock/pop groups and jazz big band.